another good show was canceled | Geek Girl Travels: The Letters of GeGi. I have a confession to make. I’ve never watched Mad Men. Not because of any particular reason — my sister watches and likes it — but just because I haven’t gotten around to it yet. I have, however, watched The Hour. 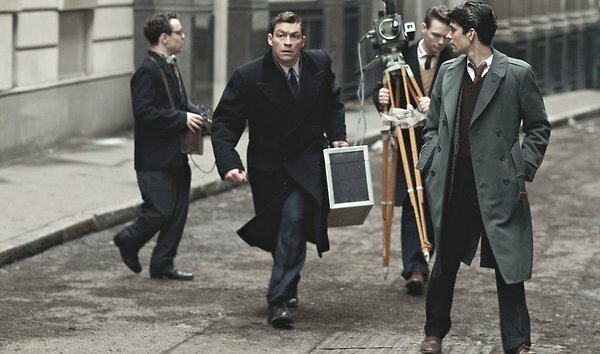 The Hour is a short-lived BBC drama set in the mid-1950’s, centered around the people involved with a television current-affairs news program called, of course, The Hour. It ran from 2011-2012, lasting only two six-episode-long seasons (a total of twelve episodes), before it was canceled by the BBC due the viewing figures being under their threshold for renewal. The soundtrack alone — especially the opening title, brilliantly composed by Daniel Giorgetti — would be enough reason for me to recommend checking out this show. It sets the mood and the era seamlessly, and I could listen to it all day. The cast is full of talented British actors, including Ben Whishaw (the newest Q in Skyfall, among other credits), Romola Garai (whom I most fondly know from I Capture The Castle), Dominic West (in practically everything), Anna Chancellor (also in practically everything), Oona Chaplin (in Game of Thrones, among other credits), and joining them in the second season, Peter Capaldi (of recent Doctor Who fame, among much else). The real star of The Hour, however, is the storytelling. There are so many plots and threads and clues throughout each season that new layers will be discovered on each re-watch (something I love), yet still each episode has enough on the surface to draw you in and capture your attention on the first viewing. The pacing in each episode is slow, and it can take awhile to get drawn into the show, but it’s such an exciting and rich story within that it’s worth the effort. The first episode of The Hour left me feeling like this show had potential, but I wasn’t quite sold on it. I watched the next, and immediately told my sister and parents they had to start watching it. I didn’t need to see any more to know I was on to something special. I started over with my parents (and got so much more out the pilot now that I had an idea where things were headed). They weren’t quite as convinced about it, but were willing to give it a chance. By the fourth episode, they were hooked and as eager as me to watch more. I don’t want to go into too much details since I like to keep things spoiler-free, and also because I want you to go experience The Hour knowing as little as I did when I started, so you can enjoy seeing the plots unfold as they were meant to. What I will say is that the first season has the overarching storyline of trying to launch and run a cutting-edge format for news program, with a background of actual historical events, and a plot of investigating a conspiracy and murder with a dash of spy-verses-spy. If that doesn’t sound like a fantastic mix, then we obviously have very different tastes. The second season deals with various forms of fall-out, more historical events, different conspiracies of corruption, and so on. It’s just as excellent and exciting. The producers of The Hour said they had plans for the third season after the cancellation was announced, and it’s clear in the final episode that there are a lot of interesting ways they could have gone with it. However, I think they managed to get the stories and characters to a point where the audience isn’t left completely hanging by never knowing what happened next — always a relief when watching a canceled show. It still feels like an open-ended chapter, but it does have a sense of that chapter having concluded rather than feeling like a cliff-hanger. 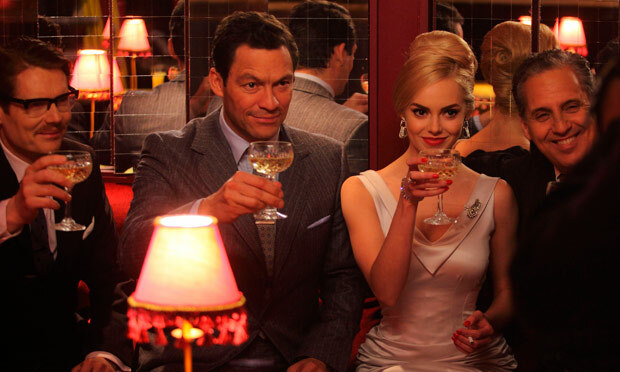 The Hour is interesting, intelligent, exciting, well-paced and well-plotted. It has an amazing cast and a perfect soundtrack. It deals with serious issues in a way that is thought-provoking and realistic. There’s very little black-and-white/right-and-wrong in the bigger picture; there’s a lot of conflicting points of view and morals clashing between educated and passionate characters. It’s a compelling program, and it’s good storytelling. If you haven’t yet, you really ought to watch it. Tru Calling is a decade-old Fox Network series which was canceled shortly into the second season (as happens to pretty much half-to-all their good shows). I had never known about it back when it aired, and only heard of it when it was mentioned in a list of shows that were ended before their time. The Hero of the show is Tru Davies, played by Eliza Dushku. Tru as a character is strong, stubborn, and extremely compassionate. She commits herself to her calling of helping people with admirable passion, if not much discretion. While she might have benefited from some out-of-the-box thinking a few times, she approaches each problem and challenge with a head-on determination that quite often — though not always — wins the day eventually. In the pilot episode, Tru graduates college and is planning on going on to medical school. To that end, she has lined up an internship, but it falls through and she winds up accepting a position as a city morgue attendant instead — because it will still look good on her application. However, the proximity to dead bodies reveals that Tru unknowingly has the ability to hear the dead ask her for help, which “restarts” the day, giving her an opportunity to find and help the person who is going to die. Morbid and potentially repetitive as the premise sounds, the writers do a great job of keeping each episode unique, fresh, and interesting — not an easy task, I’m sure. The first episode was fun, and got me hooked just enough to try the second. I was surprised and pleased to discover in the second episode that the show didn’t seem to be going to follow a formula or pattern, which gave me the encouragement to keep watching. I’m glad I did; the writers do a good job of blending both story and character driven elements, and the “restarts” didn’t feel dragging or repetitive. They did, however, feel like they could be used to make a fun drinking game, if one felt so inclined. After reading one of the writers’ Livejournal entries (Spoilers, sweetie, so don’t read if you haven’t watched yet.) about the plans for the second season and the mythology behind the stories, I’m really disappointment Fox Network canceled before that could all play out. They were heading in some very awesome-sounding directions, and I was fully invested in going there. That said, despite loose ends the show does wrap up in a good place. It’s open-ended, but still a satisfying chapter in which to close the book (as it were). Don’t let the six-out-of-thirteen-with-no-warning episodes of the second season scare you off — Tru Calling is still worth watching as is. If you have any recommendations or requests for future Review Days, leave a comment below.